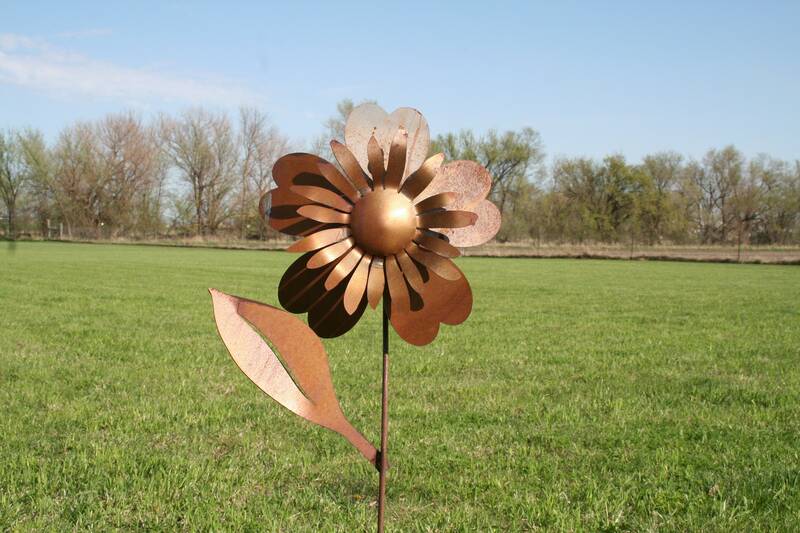 Rustic metal flower stakes are a beautiful way to add texture and color to your landscape. They will stand tall through every season and all weather. Patina will continue to add the aged look with time. Easy care. No watering, weeding or deadheading required! 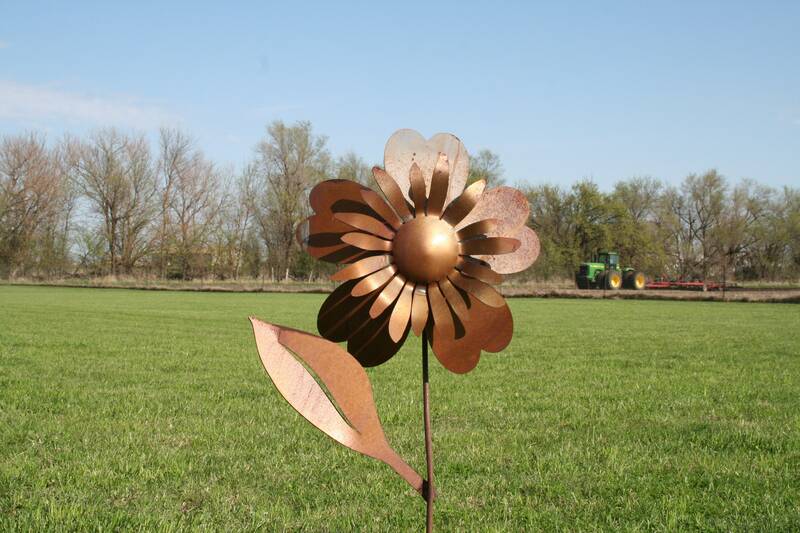 Flowers are 34" tall overall, 26" tall after stake is pushed into the ground. The face of this beautiful flower is 12" wide. It's cut from steel about as thick as a nickel. 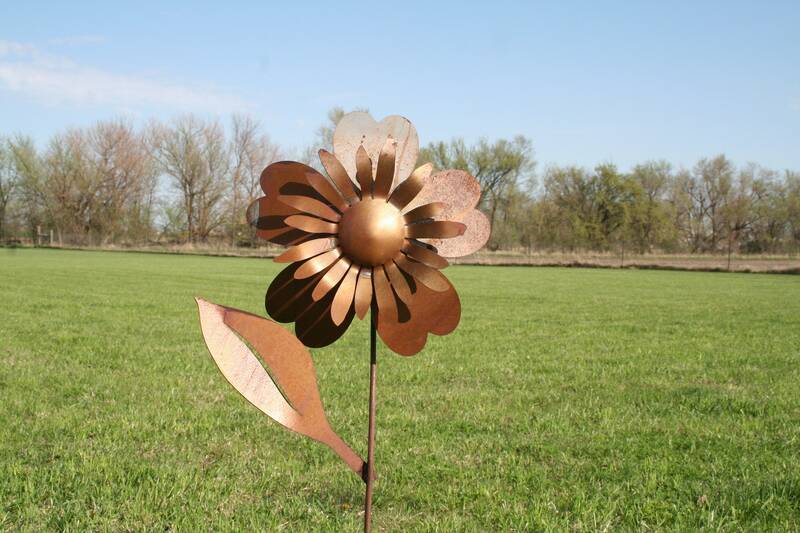 These rusted flowers are great for a prairie style home, yet they suit modern landscapes as well. 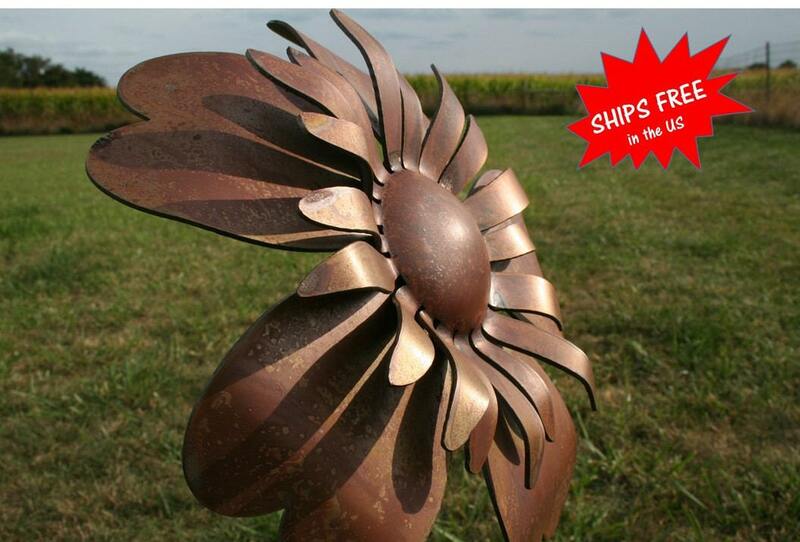 For a limited time we also have Extra Large Sunflowers in stock! The sunflower itself is 48" tall after going into the ground. 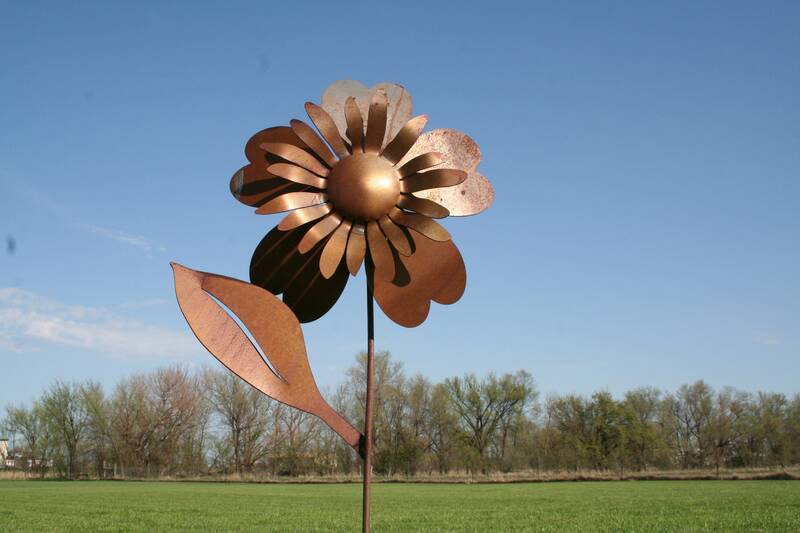 Slightly larger face and leaf than the original sunflower for a tall showpiece in your landscape! 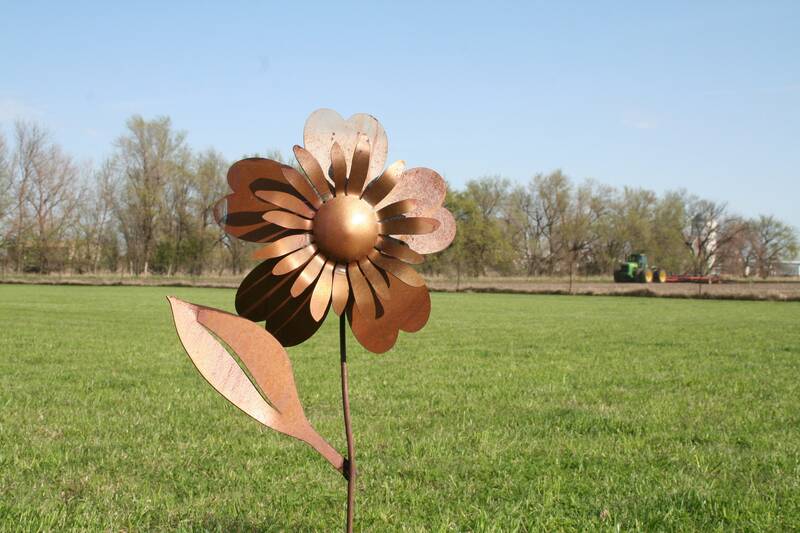 This landscape flower makes a great gift item! 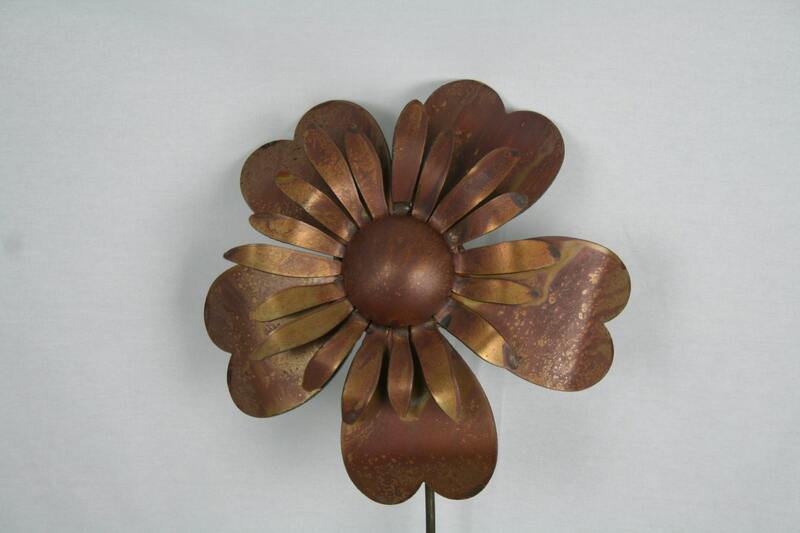 Rusty flowers are in stock and ready to ship! 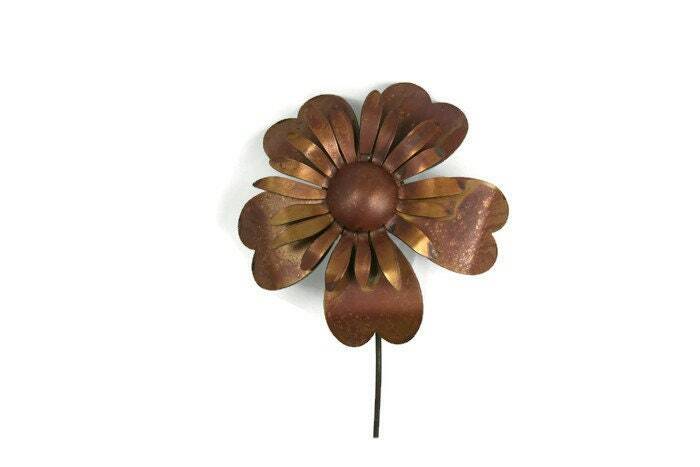 NOW available as a set of two or three flowers! Save money on a set! 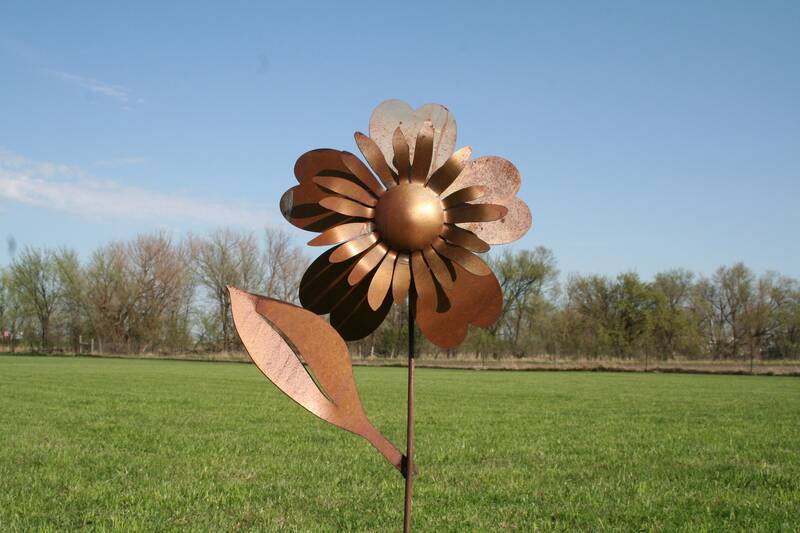 This rusty flower stake is a favorite at our house. We hope you'll love them as much as we loved making them! All of our items are made by the two of us in our homeshop -- 100% made in USA and made to last. I am addicted to your art. 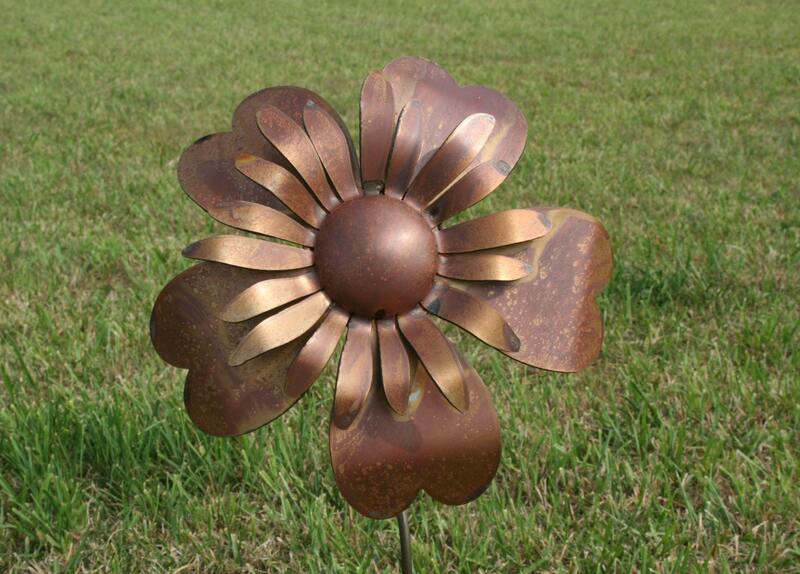 Great metalwork flowers. Thanks so much for offering this item! Shipped very fast & well, was impressed. Love the sunflower, it was a Christmas present & she loved it!